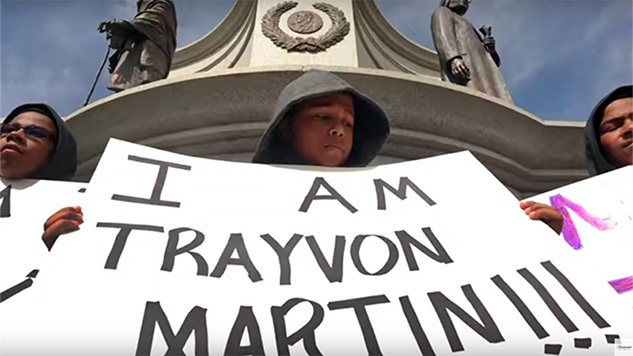 Trayvon Martin, a Florida 17-year-old, was shot and killed by neighborhood watch volunteer George Zimmerman on Feb. 26, 2012, for doing nothing other than walking through his neighborhood in a hoodie. His murder sparked protests across the country and jump-started the Black Lives Matter Movement as we dealt with the aftermath of another incidence in unjustified killing of a black man. It’s been six years since Martin’s death, and the country is still protesting against gun violence and police brutality. Martin’s tragic story will now be told in a six-part documentary series produced by Jay-Z, titled Rest in Power: The Trayvon Martin Story. Paramount released the first teaser for the series in February and now they’ve released an official full-length trailer, which you can watch below. The series will examine the murder of Martin and how it’s representative of greater socio-political problems that persist in today’s society. Rest in Power will debut on the Paramount Network on July 30 and features interviews from Martin’s parents, Sybrina Fulton and Tracy Martin, as well as their family lawyer Benjamin Crump, Reverend Al Sharpton, Carmelo Anthony and Angela Davis, among others. Again, Rest in Power debuts on July 30. Watch the trailer below.